Located in Mohave County, along the Colorado River, Bullhead City, Arizona is a haven of sights and attractions that will interest everyone in the family. Younger visitors enjoy spending a day at the museum or going go-karting or playing mini-golf at Scooters Family Fun Center. Adults may prefer a day of hiking or participating in water activities. Lake Mohave has 237 miles of shoreline and 198 secluded beach coves for you to explore, and Katherine Landing is a unique experience that has attracted guests from all over the world. The must-visit destination offers sunny weather all year long, making it a perfect place to spend the day no matter when you visit. You’ll be able to take part in activities such as swimming, sunbathing, biking, hiking, camping, boating, fishing, wakeboarding, water skiing, and scuba diving. There are several rare historic attractions surrounding the area including the Katherine Gold Mine which was discovered in the 1900s and was mostly operational until 1930. 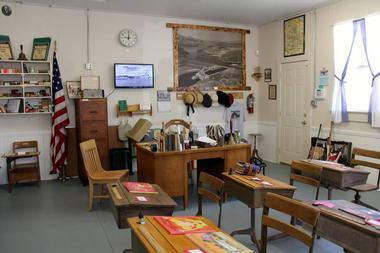 Operated by the Colorado River Historical Society, the Colorado River Museum collects, preserves, and displays memorabilia, artifacts, and historical documents about Bullhead City and the surrounding area. The building which the museum is housed in is in itself a historical landmark which was built in 1947 to serve as the city’s first Catholic church. You’ll see so many historic photographs and pieces about the area’s people, its past, and the many events that have taken place over the years. There are several events which are hosted at the museum throughout the year so be sure to check their schedule in advance and attend one if you’re there. Filled with fun activities such as mini golf and go-karts, Scooters Family Fun Center is the perfect place to spend a day with your family while in Bullhead City. They have two 18-hole mini golf courses for you to enjoy complete with sand traps and waterfalls. The go-kart tracks are suitable for everyone in the family as there are separate tracks for adults as well as kids. Make sure to allocate time to get your swing on in one of their eight batting cages, no matter if you’re practicing for the MLBs or just for the fun of it. Scooters offers tons of packages which combine a little bit of everything along with tokens to their state-of-the-art arcade and their pizzeria. If you’re looking for knowledgeable and experienced professionals with the best and safest equipment to go jet skiing, then look no further than Dave’s Jet Ski Rentals. You’ll have one of the guaranteed best times spending the day outdoors and jet skiing on the refreshing Colorado River. Dave’s would be more than happy to accommodate you if it’s your first time and you’d be more comfortable with an experienced driver. On the contrary, skilled jet skiers will find the equipment easy to maneuver and extremely top of the line - a crash intro course will jog your memory and ensure that you know everything you need to for have an amazing time on the water. An exciting round of golf, a refreshing spa treatment, and exquisite dining all in the heart of Arizona’s desert - you’ll find all this and more at the Laughlin Ranch Golf Club. 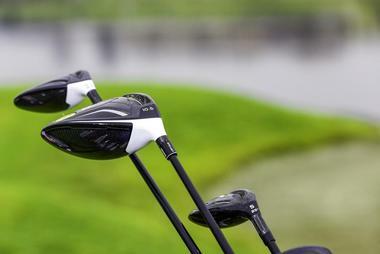 The 18-hole golf course is one of the most scenic in the area; golfers will find the layout relaxing and challenging all at once, with dramatic elevation changes, generous greens, and accommodating fairways. 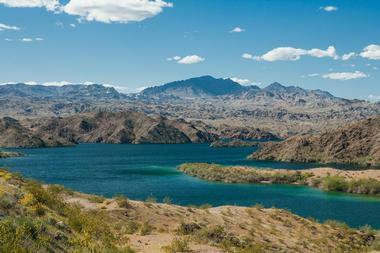 You’ll be surrounded by beautiful views of the desert arroyos, towering mountains, and the flowing Colorado River. The ranch’s spa and salon are the perfect place to unwind and allow yourself to indulge in signature services such as facials, massages, manicures, pedicures, as well as access to their tranquility rooms, steam rooms, fitness center, and outdoor swimming pool. Desert River Outfitters provides canoe and kayak sales, rentals, and guided river trips across Arizona’s Colorado River. Enjoy desert paddling at its finest as you go by deep canyons, colorful rock formations, spectacular desert wildlife, and many of Bullhead City’s historical and cultural sites. You can choose from day, sunset, or moonlight paddle tours, each of which lasts three to four hours and includes pickup, drop-off, and the boats and gear which you may need. Tours are suitable for all ages and skill levels and you can choose exploring Lake Mohave, Davis Dam, Rotary Park, or Topock Gorge. 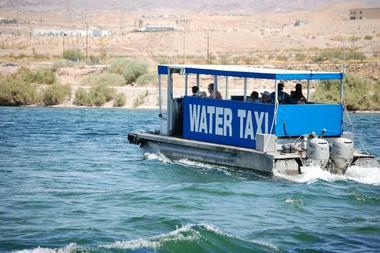 The River Passage Water Taxi is a fun mode of transport that takes you through the Colorado River and surrounding waterways. Every taxi is navigated by an experienced captain who has been licensed by the US Coast Guard. The taxi connects you to many of the area’s casinos and hotels, making it easier, and more pleasant, for you to get to your location. Start your journey at the casino docks along the riverwalk and enjoy a scenic ride to several destinations along the river. 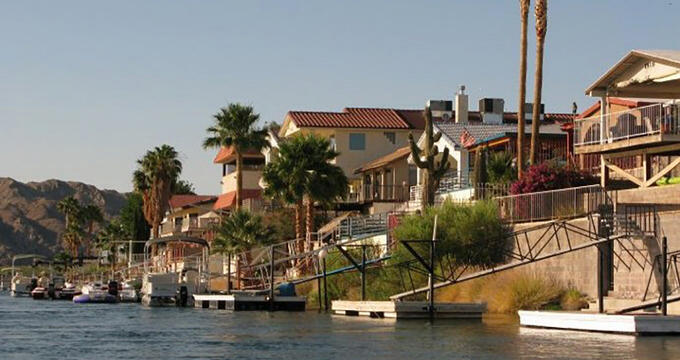 It’s a wonderful way to get out on the water and experience Bullhead City on an enjoyable and unique ride. Black Bear Diner can be found on the bluffs of the beautiful Colorado River and is the perfect place to satiate your appetite after a day of gambling, playing out on the water, or exploring the area’s many sights and attractions. They serve breakfast, lunch, and dinner, and have separate menus for their renowned desserts, younger patrons, and well as diners who have different nutritional choices. Start your day with a Bigfoot Chicken Fried Steak & Eggs which comes with house-made biscuits and your choice of hash browns, country red potatoes, or fresh fruit. Popular choices for lunch or dinner include the tangy Western BBQ Burger, their warm-roasted Turkey Pesto Sandwich, and their Homestyle Fried Chicken which comes with a side of country gravy. The Mohave Steakhouse is a family owned and operated restaurant which opened its doors to the locals and visitors of Bullhead City in 2009. They are a Licensed Certified Angus Beef House and are known for serving the finest cuts of beef in the area. Their signature menu was assembled by owner, Master Cutter, and Master Griller Jesse Godinez, and includes delicious options for breakfast, lunch, and dinner. Some of items which are popular with their patrons include their Mohave sandwiches, gourmet burgers, pastas, and of course, their hand-cut steaks. Be sure to try out the Arizona sirloin, deep fried calamari, the pastrami burger, and their rack of baby back ribs. Oriol’s Restaurant is where you want to be if you’re in the mood for fresh, authentic, delicious Mexican cuisine. All of their dishes are made using the finest ingredients to guarantee unparalleled flavors for their customers. The dining experience is incomparable and combines delicious food, amazing service, and an inviting setting which all tie in together perfectly. The restaurant is open for breakfast, lunch, and dinner, and includes all the popular favorites such as huevos rancheros, taquitos, quesadillas, ceviche, tacos, carne asada, enchiladas, tamales, and much more. Don’t end your meal without indulging in a churro, a slice of their flan cheesecake, or their signature deep fried ice cream.